Are you finally ready to level-up your daily smartphone experience coming from your current entry-level or midrange handset? Are you a meticulous power user who always wants to get the most value for your money when you purchase a new smartphone? Do you love big screen handsets but you hate seeing a notch? Do you want a reliable cameraphone with versatile imaging capabilities and top-notch AI features? Are you keen on getting top notch internal hardware on a new phone but you're not keen on spending on more than PHP 25,000 on it? If your answer is a resounding "Yes!" to all of those questions, then here's a fresh release from Chinese tech giant Vivo Mobile that you might want to check out. 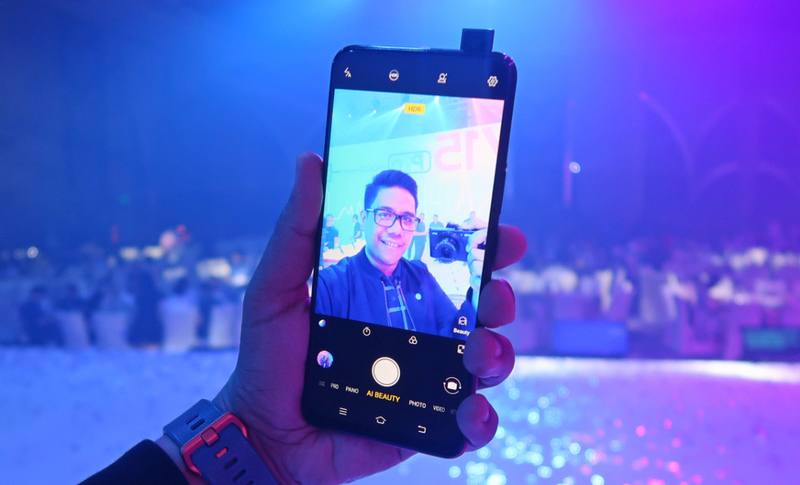 Officially launched in the Philippines on March 20, 2019 at the Grand Ballroom of Shangri-La at BGC, the Vivo V15 Pro represents the best the company has to offer in the upper midrange smartphone price segment in terms of design, features, and innovations. On the exterior, there are two things that are particularly of note about this handset. First, the back panel has a beautiful Spectrum Ripple pattern underneath the high-gloss finish that gleams and shimmers depending on how light hits it. This eye-catching design element is currently unique to this particular model. Second, Vivo V15 Pro features a downright stunning 6.39-inch FullHD+ SuperAMOLED Ultra FullView display that takes up almost the entire face of the design as it has almost no bezels and definitely no notch, a display element that many consumers hate with a passion. 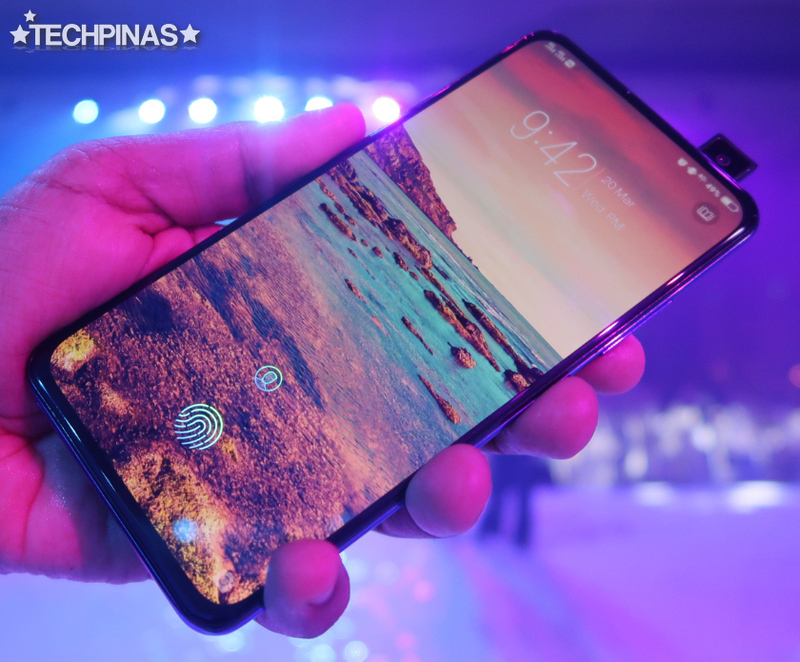 Vivo Mobile was able to eliminate the need for a notch on this phone's screen by putting the super high-resolution 32 MegaPixel f/2.0 AI-Beauty-powered front-facing camera in a motorized elevating module located at the top panel. Whenever you launch the camera application and switch to the front cam to snap a selfie, the motor automatically kicks in to raise this innovative mechanism. 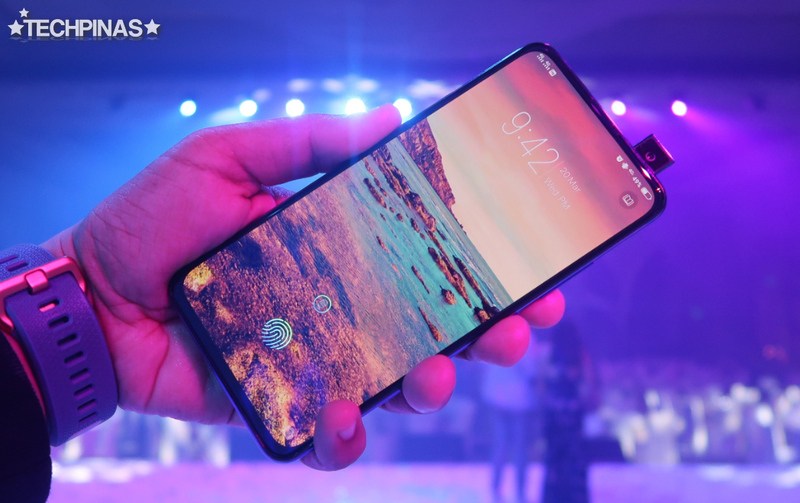 The front shooter is complemented by a powerhouse Triple Rear Camera set-up which had been crafted to make the Vivo V15 Pro one of the most versatile cameraphones in its category. 3. 5 MegaPixel f/2.4 Depth Sensor. Having a wide aperture plus enhanced AI capabilities, the primary cam is capable of delivering clear and crisp images in various lighting conditions - even in low light - when shooting various kinds of subjects. In fact, Vivo's AI imaging software is now made smarter than ever, able to figure out more subjects - be it people, food, greenery, or architecture - in front of the lens than before to automatically adjust colors, highlights as well as shadows and deliver the best shots possible. With its 13mm wide-angle lens, the secondary camera is perfect for taking landscape photos or snapping large group shots. Using this cam, you won't have to take a few steps back just to capture more of what's in front of you. Finally, the depth sensor enables Portrait Mode, which adds beautiful Bokeh or blurred background effect on photos of people or even food. 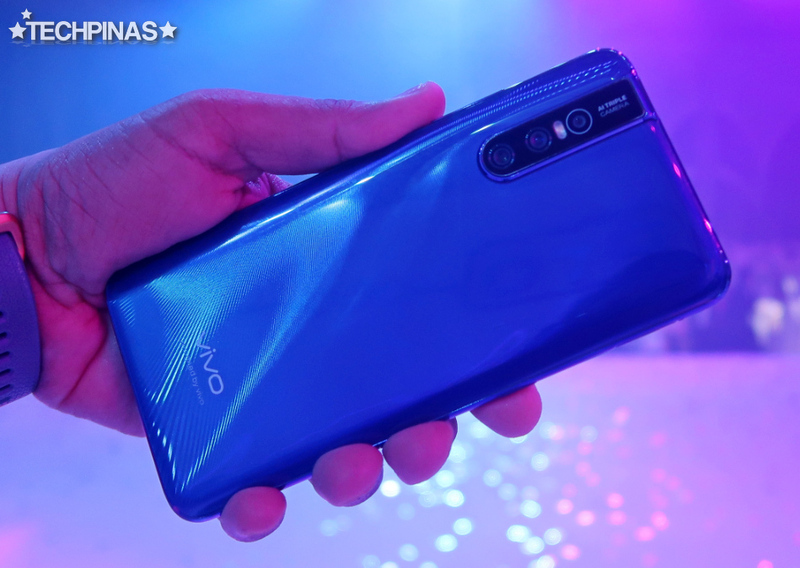 Made for demanding power users, Vivo V15 Pro runs its FunTouch OS 9 customized Android 9.0 Pie operating system with a 11nm Octa Core Qualcomm SDM675 Snapdragon 675 AIE processor that's both powerful and energy efficient. This chipset incorporates an Adreno 612 GPU that definitely ensures buttery smooth gaming experience when running the most popular titles that you can download from Google Play Store, including Mobile Legends: Bang Bang. 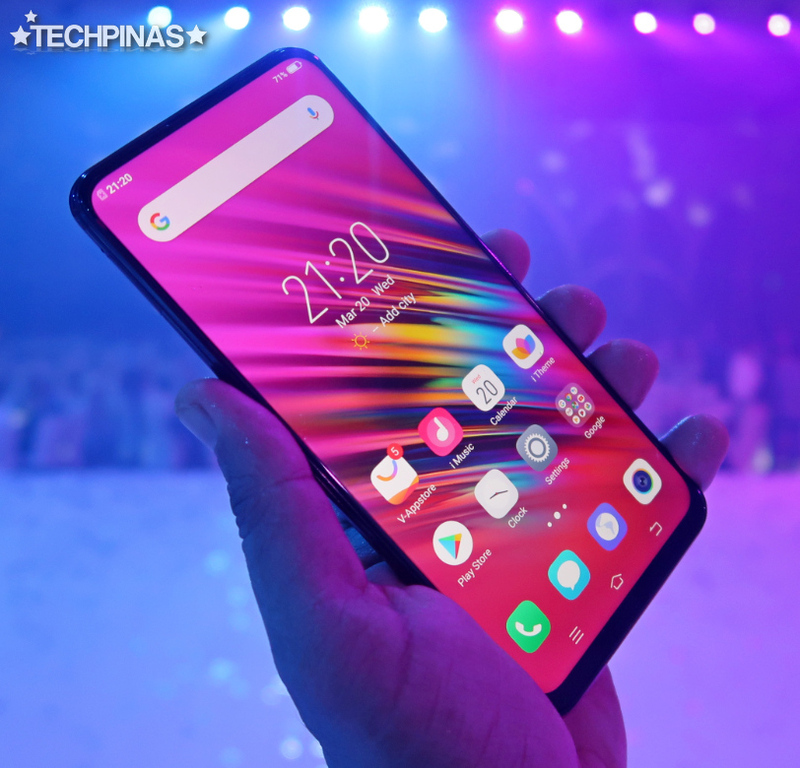 Alongside the incredible 8GB of RAM and sizable 128 GB of expandable storage, Snapdragon 675 makes Vivo V15 Pro one of the most powerful 2019 Android smartphones in the midrange echelon. Whether you like running multiple apps and games at once or you need large space for your files, this smartphone has you covered. For privary and security, Vivo V15 Pro features Facial Recognition that's integrated in the front cam, which automatically elevates when you press the power button from screen off. On top of that, this smartphone has an In-Display Fingerprint Scanner - underneath the scratch-resistant Corning Gorilla Glass 5 panel - that's been made a lot faster and more accurate than that one on Vivo V11. This sensor is particularly useful when the handset is placed on the table and you need to unlock it; No need to pick it up. 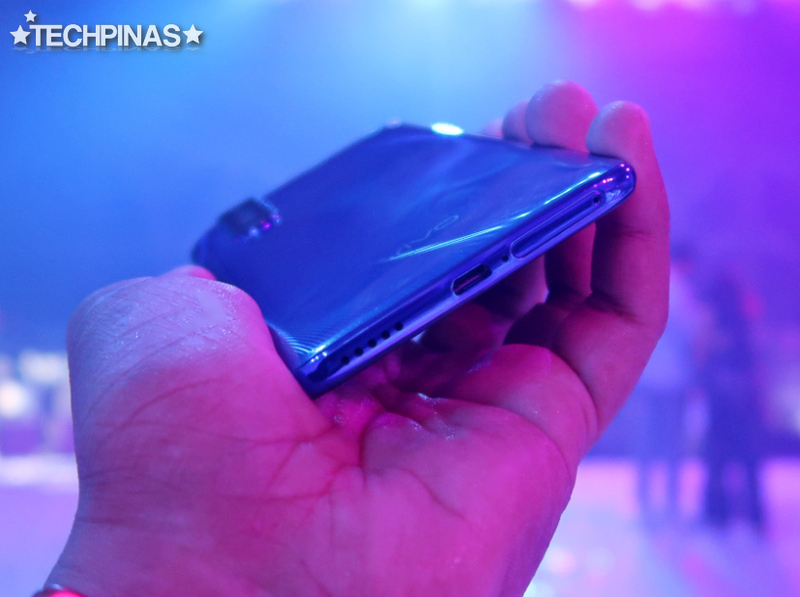 Vivo V15 Pro runs on 3,700 mAh Li-Po battery pack that can be quickly charged from 0% to 100% -- thanks to Vivo's very own Dual Engine Fast Charging technology via the handset's microUSB 2.0 port. With this innovation, you will spend more time using the phone to be more productive, away from a powerbank or an electrical outlet. 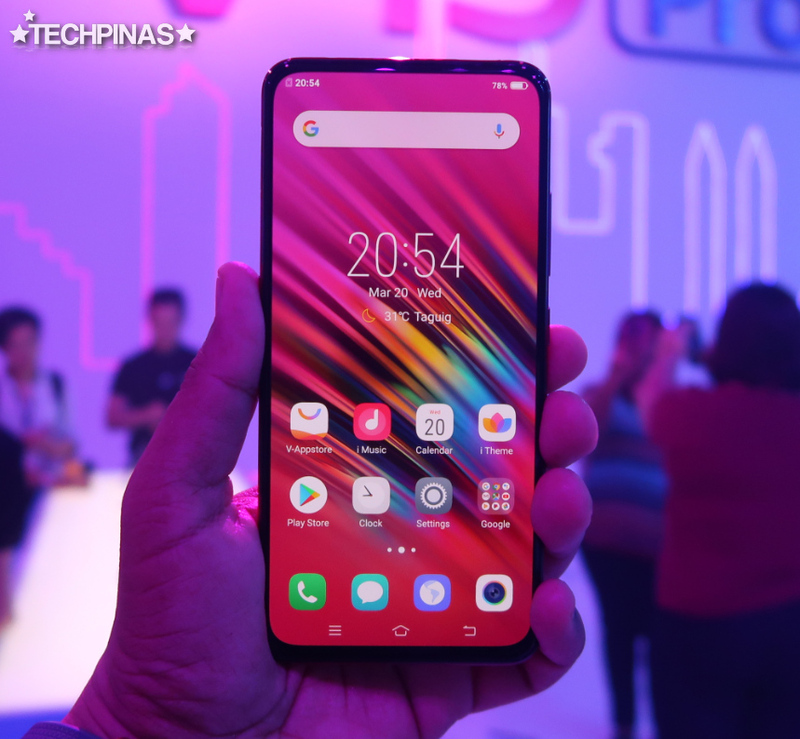 Is Vivo V15 Pro the right smartphone for you? Well, if you're looking for a new handset that looks ultra-attractive, has top-notch Selfie snapper, features a reliable rear camera module for taking low-light, portrait, and landscape shots, comes replete with stellar internal hardware given its price, and sports unique innovations like an Elevating Front-Cam and On-Screen Fingerprint Sensor, you should definitely include Vivo V15 Pro in your list of 2019 smartphones to consider purchasing. Planning to level-up to Vivo V15 Pro? 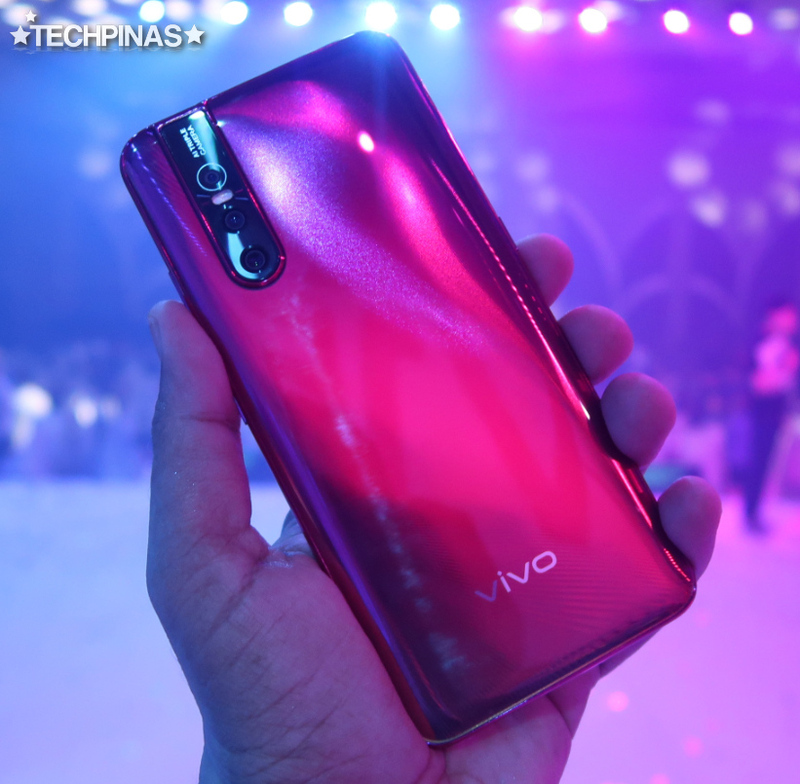 Available in two elegant colors, namely, Coral Red and Topaz Blue, Vivo V15 Pro dons an official suggested retail price of PHP 23,999 in the Philippines. This smartphone will be up for pre-order starting on March 21 until April 11, 2019. 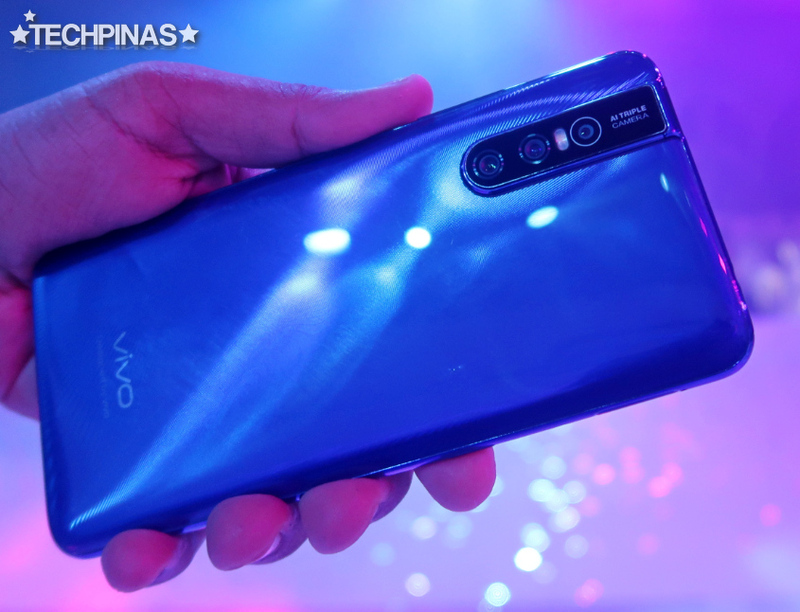 Vivo fans who will successfully sign up for a Vivo V15 Pro unit will get exclusive freebies including Bluetooth Speaker, Premium NBA Smartphone Case, as well as Extended Warranty.